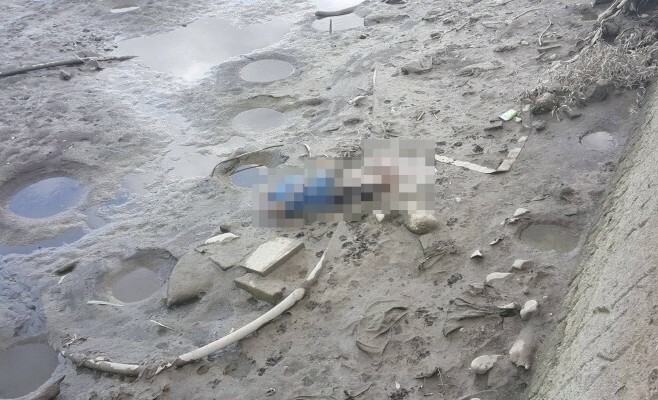 TAIPEI (Taiwan News) -- A headless male corpse was discovered today on a river embankment near the Zhongzheng Bridge in New Taipei City's Yonghe Distrct, and it has been identified as that of a Canadian male English teacher, reported Liberty Times. 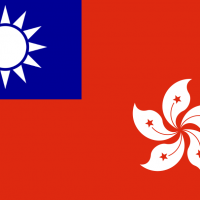 After a preliminary police investigation, the deceased has been identified as a 43-year-old male Canadian English cram school teacher named "Ryan," who had been teaching in Taiwan for over 10 years, according to Apple Daily. 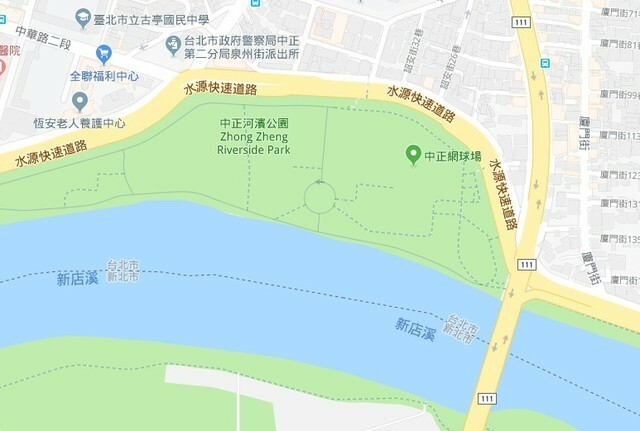 At around 1 p.m. today the man's remains were discovered lying on the bank of a river near the baseball stadium in Zhongzheng Riverside Park, outside the lower levee of Zhongzheng Bridge in New Taipei City's Yonghe District, reported ETtoday. 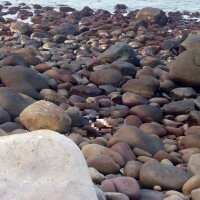 The body was found to be missing the head and all four limbs. 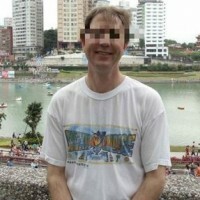 A friend said that the last time he saw him alive was on Sunday, when they played video games together. After not responding to phone calls from friends for a few days, two friends of Ryan, a "mixed race" (混血兒) man surnamed Hsu (許) and an American man set out to try to find him, reported Apple Daily. When they arrived at his home, they found his dog "Lulu" wandering around outside, with lacerations on its nose, possibly from a knife. 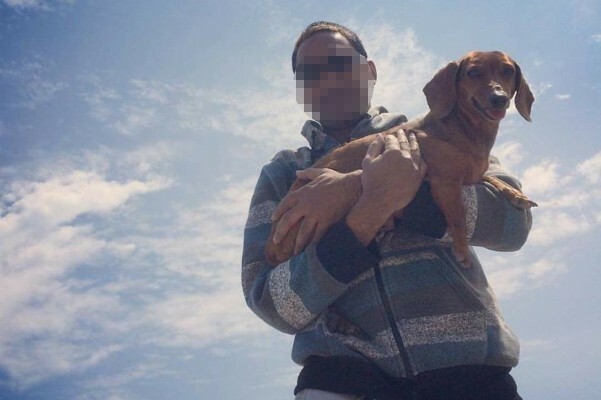 As he was known to frequently walk his dog along the river near Zhongzheng Bridge, the two men took the dog with them to try to search him there. 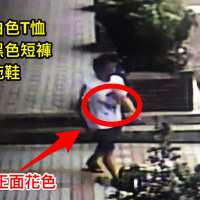 As they walked along the riverbank, the men say that Lulu picked up the owner's scent and led them to a headless and limbless body lying in a puddle next to the river, according to the Apple Daily report. Terrified at the grisly sight, the men closely inspected the trunk, and they noticed that the clothing worn matched those frequently seen by Ryan wearing. The frightened men then alerted the police. Police said they found blood stains on the bicycle path along the river, possibly where the man’s remains had been carried by the murder suspect before being dumped into the river. Nearby, the police then found three white plastic bags containing all of the man's missing remains, including his severed head and limbs. 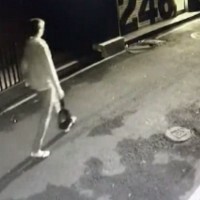 Police then called back one of Ryan's friends to view the severed head that was found in one of the bags, and the man confirmed that it was indeed his deceased friend. Screenshot of ​Google Map of location where body was found. Apple Daily also reports that Ryan's Taiwanese wife, surnamed Yen (顏), tragically drowned when the two were on vacation in Yilan last year. 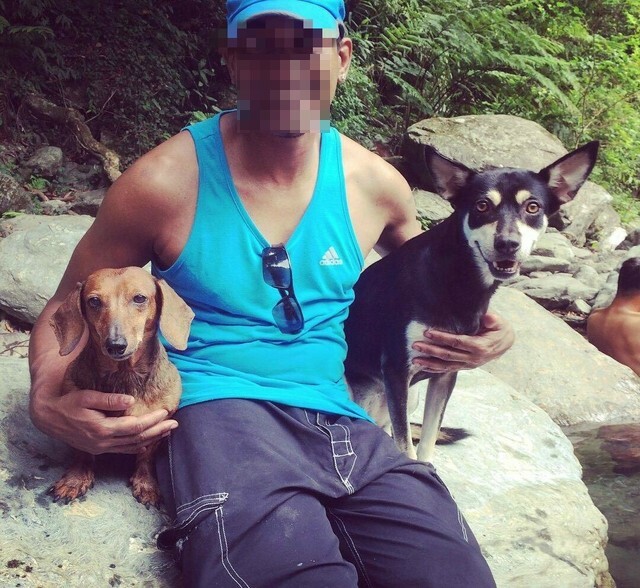 During the chaos of his wife's drowning, one of their two pet dogs "Spongy" went missing. 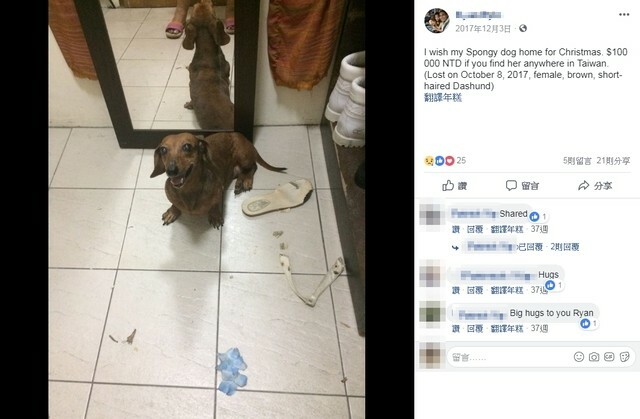 Because the couple treated the dogs like their own children, Ryan had offered a reward of NT$100,000 (US$3,247) to anyone who could find his Spongy. Police are expanding their investigation to find out how Lulu had suffered the knife wounds to its nose. Screenshot of Ryan's Facebook page post searching for Spongy.